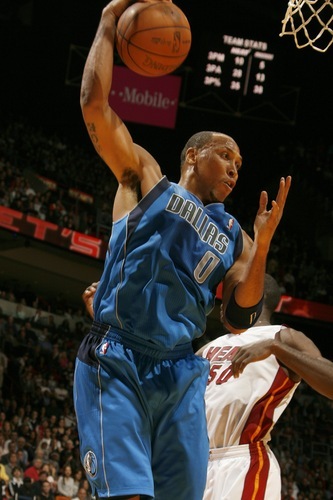 Shawn Marion is 1 of only 7 players to average 10 rebounds and 2 steals per game since steals were first recorded during the 1973-74 season. The table below shows Marion and the other six players. This is not some ridiculous stat like “only guy to average 14 points 4 rebounds and 6.5 assists”. It is significant because it signals a special type of versatility. Although he is not the same caliber of player as the better players on this list, Shawn Marion is in very good company. 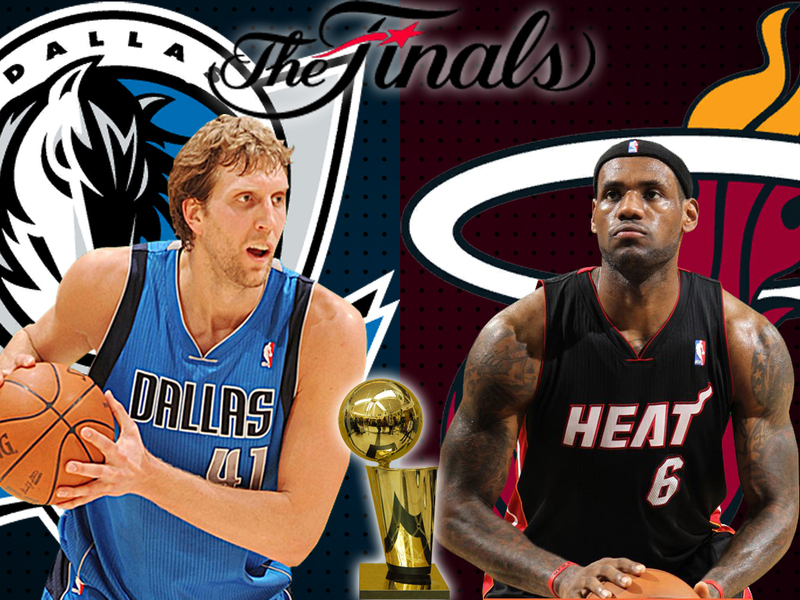 Hakeem Olajuwon, David Robinson and Charles Barkley are all-time greats and were also uniquely versatile players. Hakeem had almost guard-like quickness, Sir Charles was a 6’5″-6’6″ rebounding machine, and David Robinson had a great combination of strength and quickness. Carlos Boozer: In Elite Company. I Hope He’s Coming Back Soon. 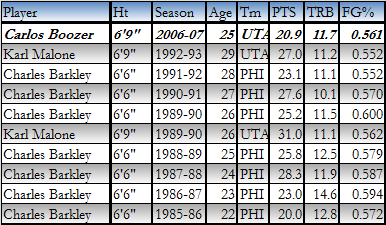 One of only 3 players 6’9″ and under to average 20pts, 10reb, and 55% from the field since 1985.